“Many European countries stuck in an “austerity-led recession,” are looking at the crisis from a purely financial point of view, while the public is asking “what about us? We’re paying the cost for a crisis we had no responsibility whatsoever in producing”,offered ILO (International Labor Organization) Director-General Juan Somavia. By contrast, many developing countries “came out of the crisis quicker and with different policies than the developed economies that are still mired in the crisis.They were able to put policies in place in which they increased minimum wages, they expanded social protection, they did a lot of things that would not have been possible” had they followed the same policies being applied in Europe. Mr. Somavia noted that the greatest impact of austerity and the resurgent economic crisis has again been the global youth. The ILO had already a year earlier warned of shortsighted policies promoting spending cuts to critical programs as well as taking a bite out of economic growth. The ILO, World Bank and a range of UN experts have taken a visibly different view of current austerity measures from the IMF and some Eurozone leaders. 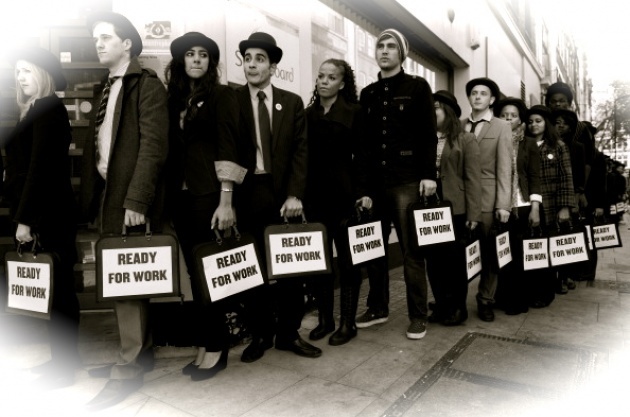 Read Blog for Film: "Austerity is Killing Jobs & Economic Health"
A small delegation will stay on for the annual International Labour Conference where the youth employment crisis will feature prominently in discussions. More than 5,000 government, employer and worker delegates from the ILO’s 183 member states are scheduled to attend the Conference, which will be held from 30 May to 15 June.Global youth unemployment remains stuck at peak crisis levels, with 75 million young people jobless.